Hi. My name is Anthea Chambers and Wildwoods is my passion. Every little girl dreams of their pony and how it means so much in their life………………..Anthea and her family moved to Wildwoods in 1971 with 5 horses, when the fields were full of scrub and weed with loopy barbed wire fencing – and it has grown from there.“My passion for horses started at the age of 4. We used to ride as a family when we went to see my grandparents in Paignton Devon. My father grew up on the farm from which Wildwoods gets its name. 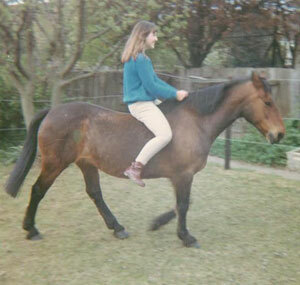 At the age of twelve, I used to cycle to Ewell Riding Stables from Cheam to work in return for rides. When I was 13, we answered an ad in the local paper to loan a pony (which turned out to be in the field next to Wildwoods). We couldn’t afford to loan him on our own, so I was hoping a friend could come in on the deal, but the pony was too strong for her. Bitterly disappointed, I began looking after people’s small animals in the holidays and started a “pony fund”. Half the money went to the RSPCA. My mother took paying guests and I helped with them as well.£160 bought my first pony “Caprice” who was a rather scatty teenage Connemara mare, who later became the founder of the Riding School. Both pony and stable were installed in the back garden on the same day, much to my father’s surprise when he got home from work! Mum had already turfed a good part of the garden as Dad was what she called an “armchair gardener” and she was fed up with weeding it! He couldn’t argue with that and when I came home from school and found him feeding the pony apples a few days later I knew we had got away with it! 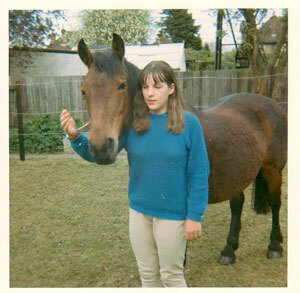 At 15 I turned down a place at the Royal College of Music to pursue my passion for horses. When the Headmistress at Sutton High school retorted that horses were “a hobby, not a career”, my mother was duly summoned to try to talk me out of it. She gave me 100% backing then – and still does now. 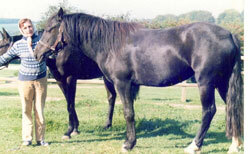 She purchased a 3 year old Anglo-Arab mare and engineered my father into buying a Irish dapple grey mare when a drive in the country surprisingly ended up at a horse sale! By now the number of horses had outgrown the garden and they were moved to a 40 acre field behind Tadworth Children’s Hospital. I remember my mother and I spending many hours trying to catch a recently purchased Welsh cob who literally showed us his heels every time we got close enough. As it was a pig farm we got quite good at catching escapee pigs as well! When we moved to Wildwoods my father put up a stable block for our four horses and I went to the bank (aged 17) to see the manager for a loan to build more. He agreed and Dad stood surety for me. I am very fortunate to have had emotional, practical and financial backing from both parents. I was lucky that both parets were ‘horsey’! 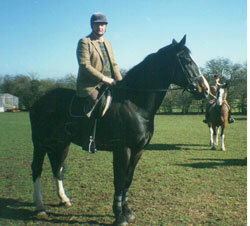 Here Dad is mounted on his horse Tyrone and in the picture above, Mum is with Opal, a 3 year old black mare she rescued off the knackerman’s lorry. Behind her is Chalice, one of our ‘homebreds’. Dad sadly died on 14th December 2013 after a short illness, aged 93. Mum at 91 is the same as ever and the author of 5 books. Her 4th book, “Legs, legs , legs!” is about the Riding Centre. Her first book, “In those Days – A Scrapbook of Growing up in the Days of the Raj”, is a memoir of her life in India, where she met Dad. “Harriet the Pig”, is a true story, and her travel log “Around the World in 85 Years” will take you to the most amazing places! Go to www.raj-memories.co.uk. for more! Her latest book “Love Letters from a Chindit”, was written after she found all the letters he wrote to her from the Burma jungle, where he was a Major in Special Forces, commanding a Gurkha brigade behind Japanese enemy lines. The letters had lain forgotten in a draw and were only discovered after his death. I started training for my British Horse society Assistan instructor exam with Colonel Mark Darley, ex Blues & Royals and winner of badminton Horse trials in 1952. I was looking after our horses and a few liveries as well, so it was a long day. I can remember struggling to cycle up the hill past the Pony Club field in the wind and rain then catching and haying the horses at Wildwoods having started work for the Colonel at 7am. Mum donned wellies and helped, so poor Dad often got his supper very late! 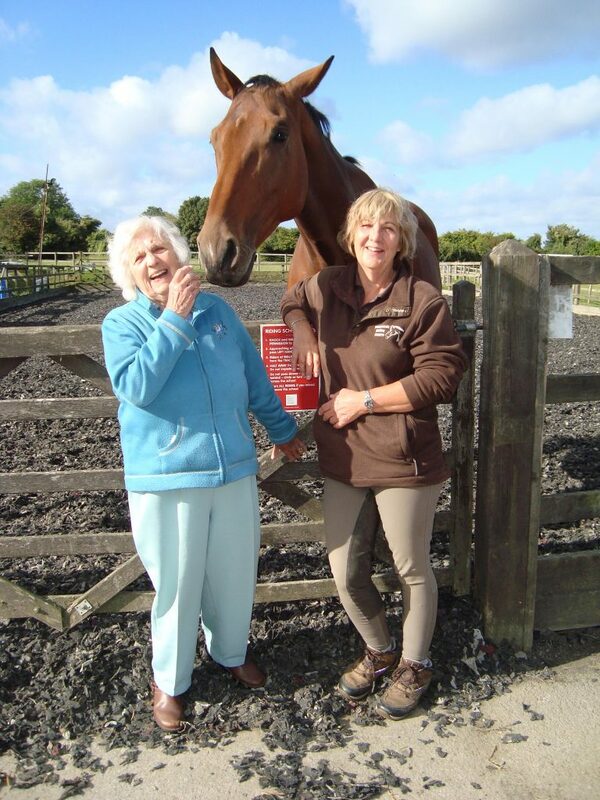 Now 40 years on years on, we are a British Horse Society Examination Centre and host the Stage 3 and Preliminary Teaching Test exams as well as Stages 1 & 2 and the Riding & Road Safety exams. 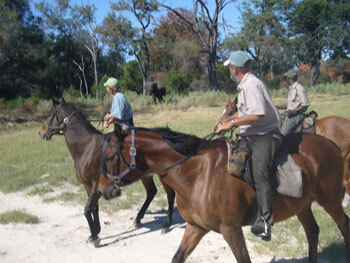 You would have thought that I would like to get away from horses sometimes, but I return frequently to ride with PJ & Barney at Okavango Horse Safaris in the Okavango Delta in Botswana, Africa. Another amazing expereience was riding back-up for David Foot from Ride Botswana in the Magkgadikgadi Pans on the edge of the Kalahari in the zebra and wildebeest migration . In India I have ridden a Marwari stallion from Pushkar Fair to Korta Escape – a trek across rural Rajasthan, averaging 30 – 40k per day, staying in private palaces and forts along the way. I’ve also taken groups to round up horses in Idaho on the Montana border and to ride in the Canadian Rockies where mule train is the only transport for your luggage. 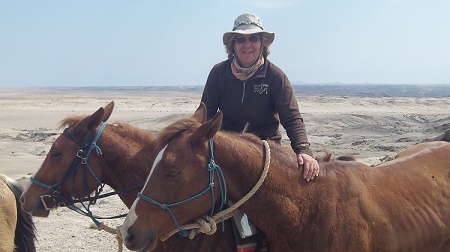 In February 2009, I participated in the Blue Cross Challenge, a sponsored ride trekking up into the High Andes of Ecuador. In 2014 I rode 400 kilometres across the Namib Desert, camping out under the stars at night. 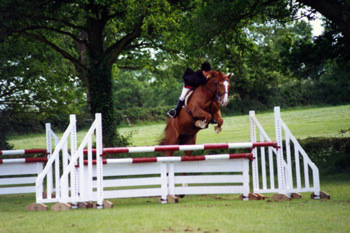 I was dubbed “Team Anthea” as I rode two beautiful chestnut Arab half brothers with one of them running free beside me. Yet another incredible journey across one of the most forbidding landscapes in the world! 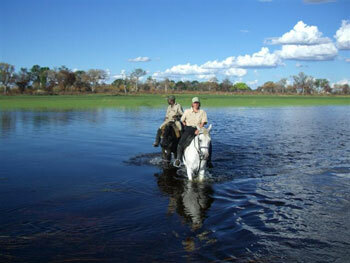 Like I said at the beginning, there is no limit in horse riding. 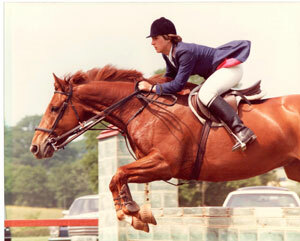 From a weekend hacker to Nick Skelton winning Gold at the Olympics after a lifetime of riding. Get in touch now and let’s get your dream started!